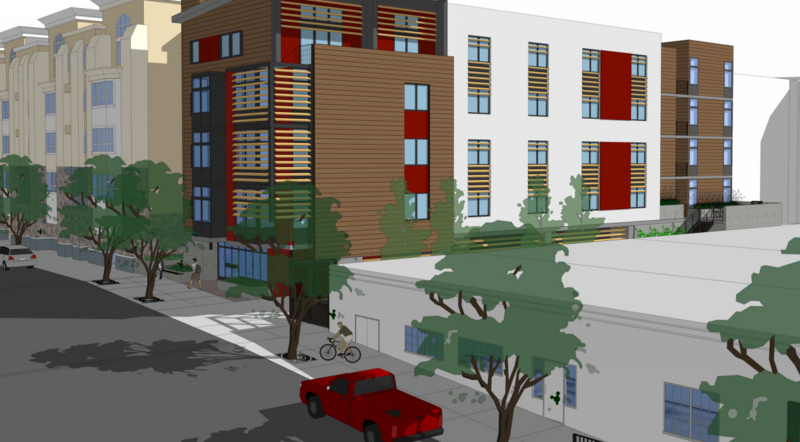 Project delivers on San Diego Mayor’s Housing First policy goals. Last summer, City of San Diego Mayor Kevin L. Falcouner and the San Diego Housing Commission (SDHC) announced an ambitious plan to create supportive housing opportunities for over 3,000 homeless individuals and families over the next three fiscal years. Rooted in the national “housing first” model to address homelessness, Mayor Faulconer’s plan expedites housing for homeless individuals, coupled with supportive services as needed. A report by the U.S. Department of Housing and Urban Development highlights the effectiveness of the approach and details how the housing first model results in long-term housing stability, improved physical and behavioral health, improved incomes and reduced use of crisis services such as emergency departments, hospitals and jails. Under the new housing plan, the city of San Diego is investing resources to build new housing developments for homeless individuals and families transitioning into permanent housing. The Beacon Apartments, a major downtown development that meets housing first principles, initiated construction in April and is scheduled to be completed in September 2019. Acquired by nonprofit affordable housing developer Wakeland Housing and Development Corporation and managed by local construction management firm KCM Group, the new supportive housing community will provide 44 homes for homeless individuals and families. The development will also replace a transitional living facility, expected to help alleviate San Diego’s growing need for longer-term supportive housing.